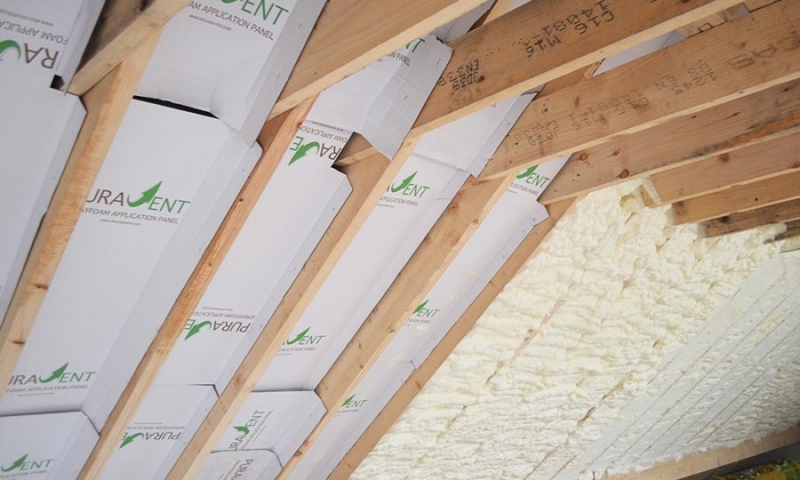 Your building a new house and considering the best option for roof insulation. 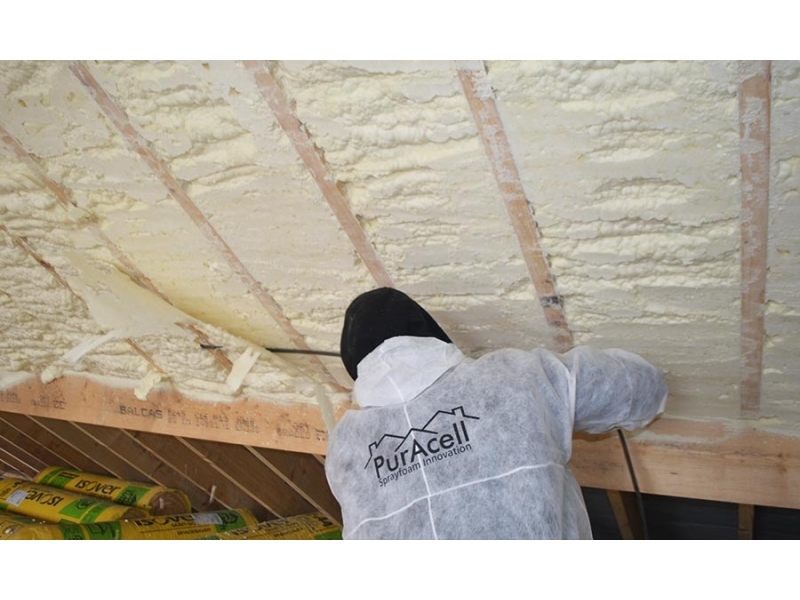 You could insulate the old traditional way with either Fibreglass rolls / Batts or cutting and fitting insulation boards. 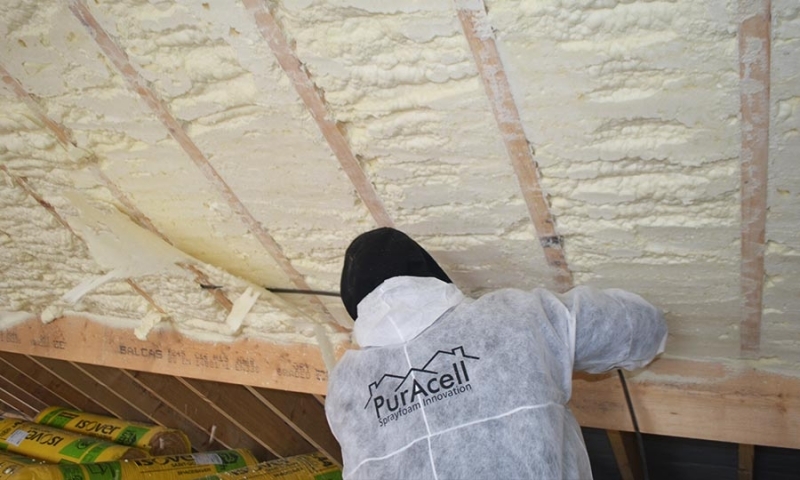 However if you want a custom fit insulation system that offers superior insulation and air tightness in one application, PurAcell Spray in place insulation is the answer. 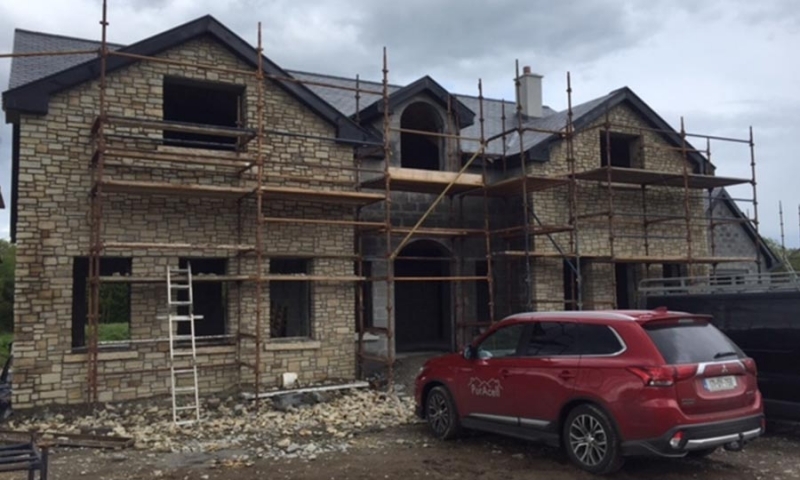 Sprayfoam is fast becoming the number one choice for new build homes and when you consider the many advantages it is not surprising that more and more discerning homeowners / builders pick PurAcell. 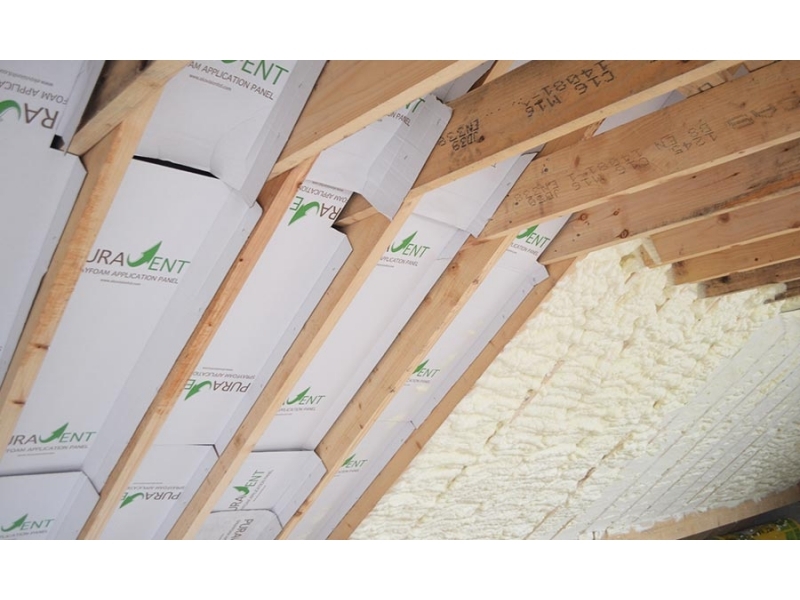 One application provides excellent insulation values and air tightness. Most new homes completed in one day: Fast & Economical. 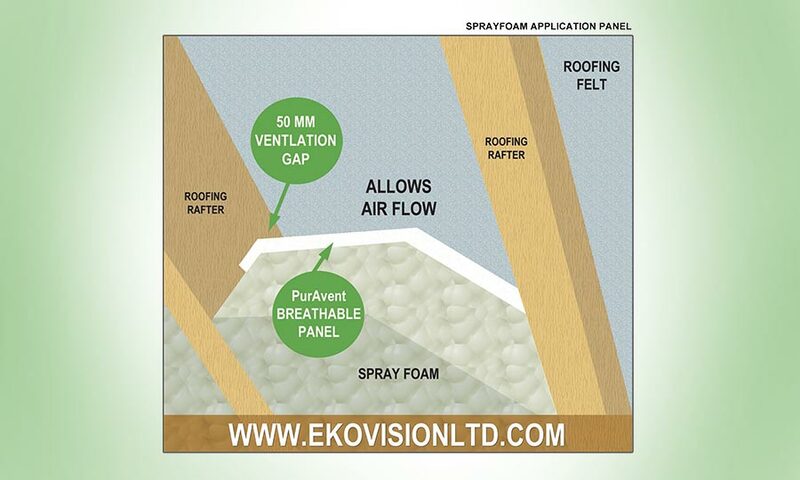 No requirement for airtightness membranes / tapes / silicones etc. 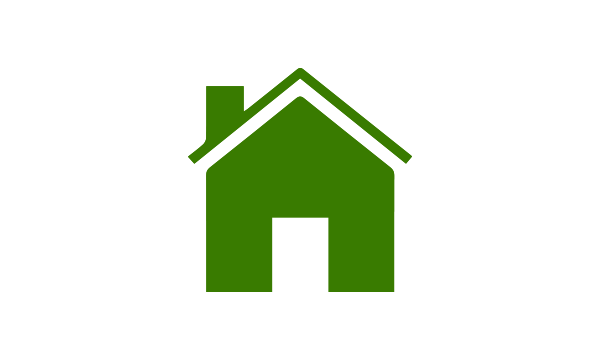 No storage of product on site. 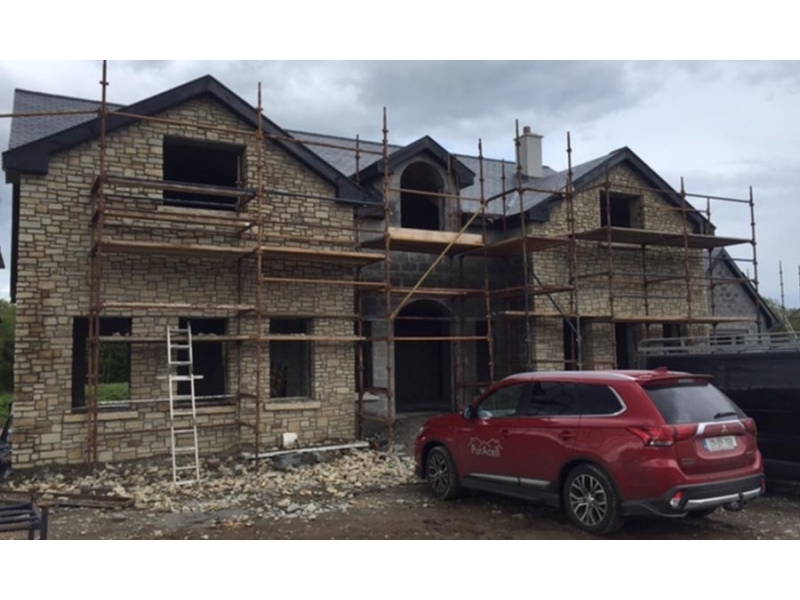 Effective application to the smallest gap between joists and walls or other awkward areas. 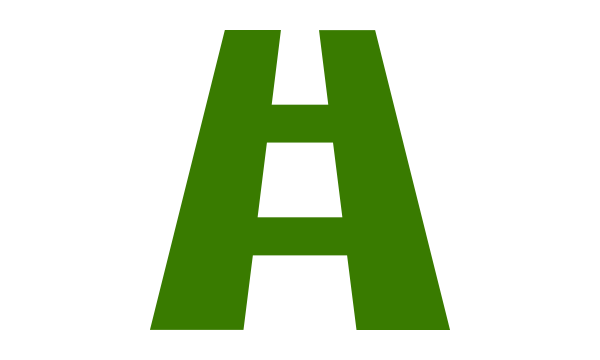 Shaved flush to facilitate slabbing. 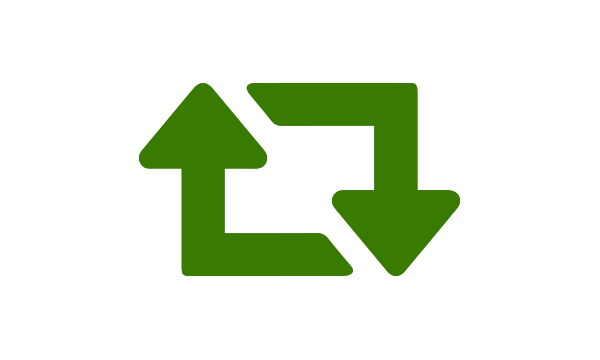 Thermal conductivity as low as .025 w/k. 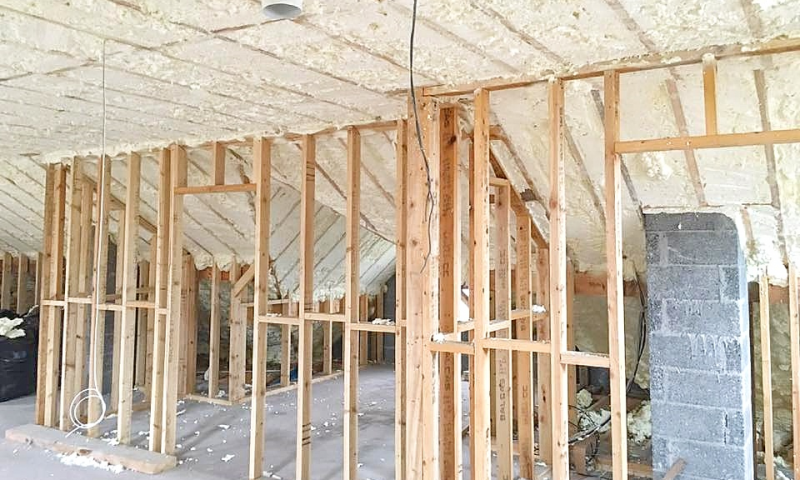 Our approved PurAcell certified sprayfoam contractors will advise you on what are the best sprayfoam insulation solutions for new buildings or indeed retrofits. 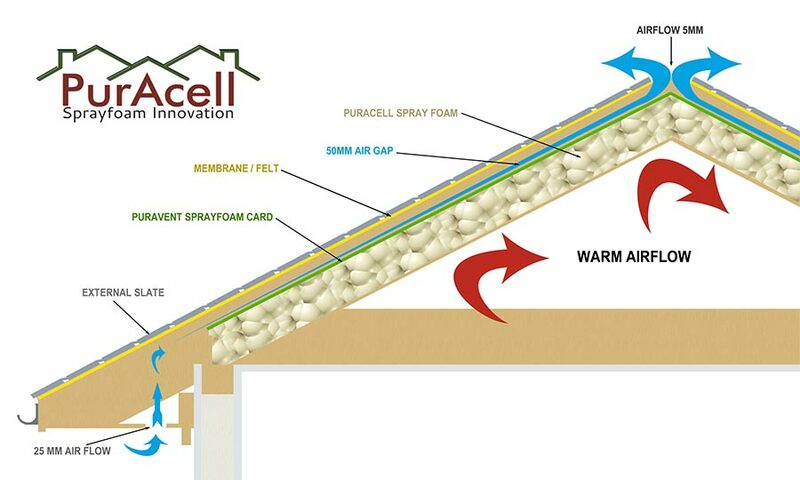 It may be our open cell sprayfoam solution, which are fully breathable and best suited for attics and lofts, or should the requirement be for exceptional u-values , we can offer our closed cell foams. 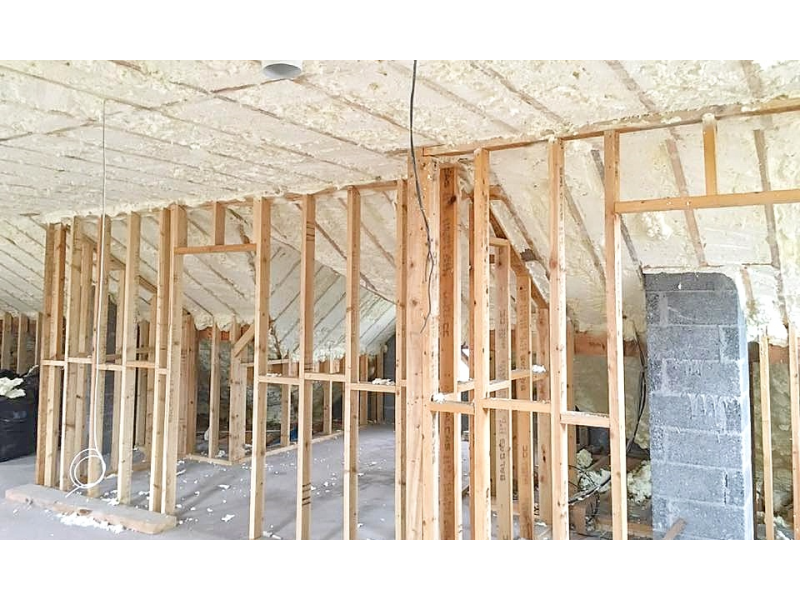 All our products used in our new building insulation sprayfoam are compliant with building regulations and are certified by the N.S.A.I. 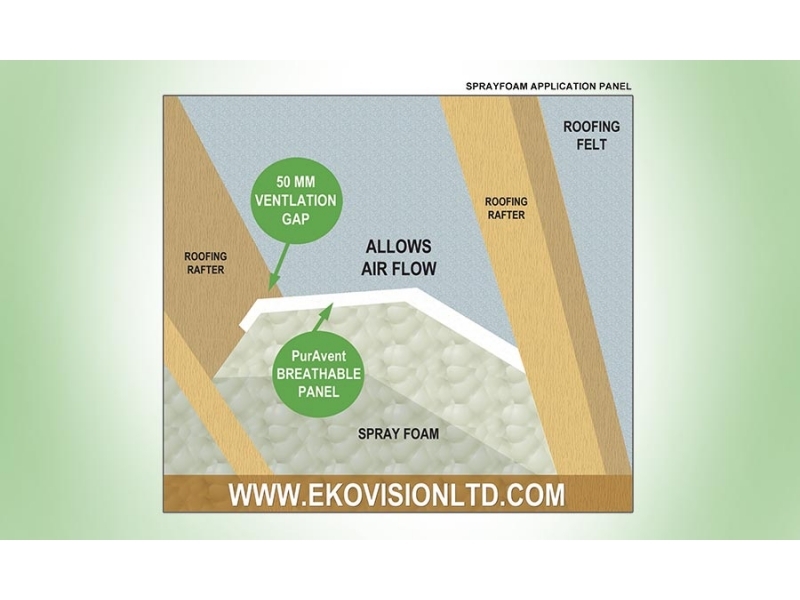 Our insulation sprayfoam systems are suitable for attic insulation, loft insulation, floor insulation, and versatility is the key benefit. Helping the environment is important to PurAcell Sprayfoam Insulation, so we make sure we manufacture a very environmentally friendly insulation with a very low carbon footprint that will save money on any new or older buildings. 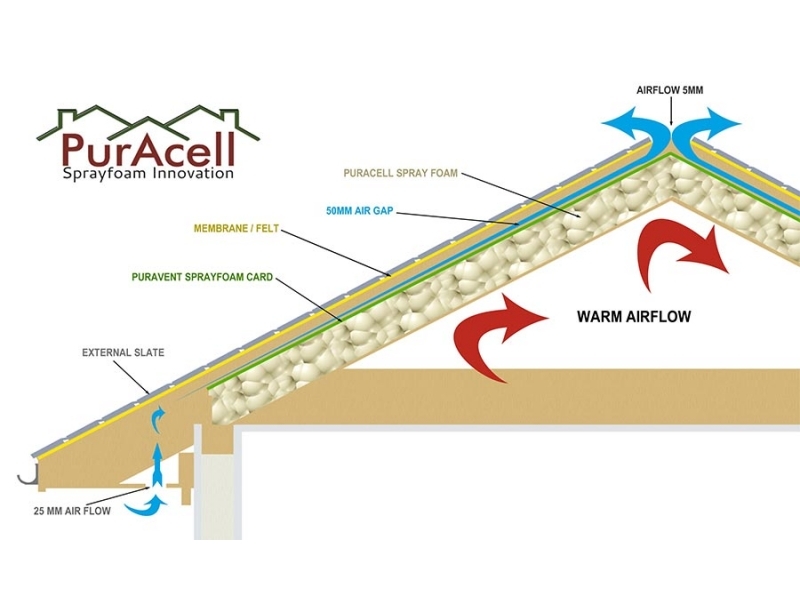 Architects / builders / specifiers and homeowners alike are now choosing PurAcell foams as their insulation partners on new build projects.